WEDNESDAY, Feb. 14, 2018 (HealthDay News) — By the time you’ve decided to have weight-loss surgery, you’ve probably given up on dieting altogether. But a new study suggests that if you can drop some weight in the month before your procedure, you might have a smoother surgery and recovery — and you could ultimately lose more weight. 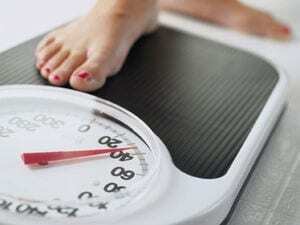 People who lost 8 percent or more of their excess body weight reduced the duration of their surgery, as well as the length of their hospital stay. And a year later, they lost almost 10 pounds more than those who hadn’t succeeded at pre-surgery weight loss. “These findings suggest that surgeons and clinical care teams should encourage healthy eating and exercise,” said study author Deborah Hutcheon, a clinical nutrition specialist at Greenville Health Systems in South Carolina. But Hutcheon was quick to emphasize that this eating plan was recommended, not mandated. And the study authors don’t think this diet should be used as a requirement to gain insurance coverage. “Sometimes results from studies like this are used in a negative way, such as for rationing care. Insurers might argue that good weight losers before the surgery don’t need the surgery,” said Roslin, who wasn’t involved with the study. Hutcheon agreed that a pre-surgery diet shouldn’t be the basis for coverage or approval for surgery. She pointed out that some participants didn’t meet the 8 percent weight-loss goal set by the study before their surgery, and they still did quite well.